Granted a whole new regenerative cycle by the Time Lords, the Doctor experienced an explosive and unprecedented thirteenth regeneration, ending the Siege of Trenzalore. A new Doctor - with a sharp face, bushy brows and boggle eyes - faced a bewildered Clara, across the console. 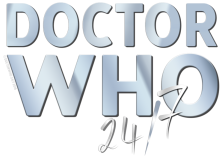 A Doctor who has seemingly forgotten how to fly the TARDIS… Though little is yet known of this Doctor’s journeys, at some point in his future, he helped his previous incarnations freeze Gallifrey in a pocket universe.